Baldessarini Ambre aftershave is a sensual, distinguished fragrance that is refined and mature in character. It is a richer and spicier addition to the Baldessarini range with the unusual aroma of Whisky added to its masculine juice, for added bite and difference. Baldessarini Ambre aftershave unveils a woody amber juice with whisky and oak-wood accents that luminate from the centre to form a rich and aromatic fragrance. Baldessarini Ambre takes other woody oriental and fruity accents, such as red apple andmandarin orange and seemlessly blend these with a deep amber accord sustained thanks to vanilla and labdanum. Baldessarini Ambre is a richer and spicier addition to the Baldessarini range with the unusual aroma of Whisky added to its masculine juice, for added bite and difference. 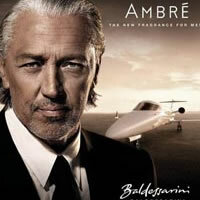 Baldessarini Ambre Aftershave Balm soothes, softens and fragrances the skin.